Féile na nGael /Féile Peil na nÓg are the GAA U14 festival tournaments for Hurling and Football. In addition Handball Feile is held for both boys and girls, and Ladies Football and Camogie Féile tournaments are organised for Ladies Football and Camogie. 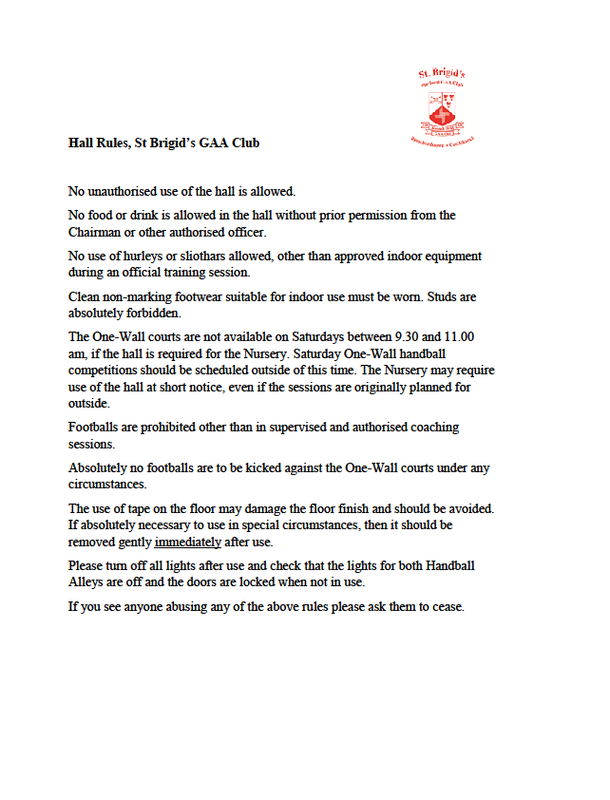 Féile Skill stars competitions may also be held. All Féile teams will operate within the guidelines of the GAA, LGFA and Camogie Board requirements for the application and management of Féile across all codes. 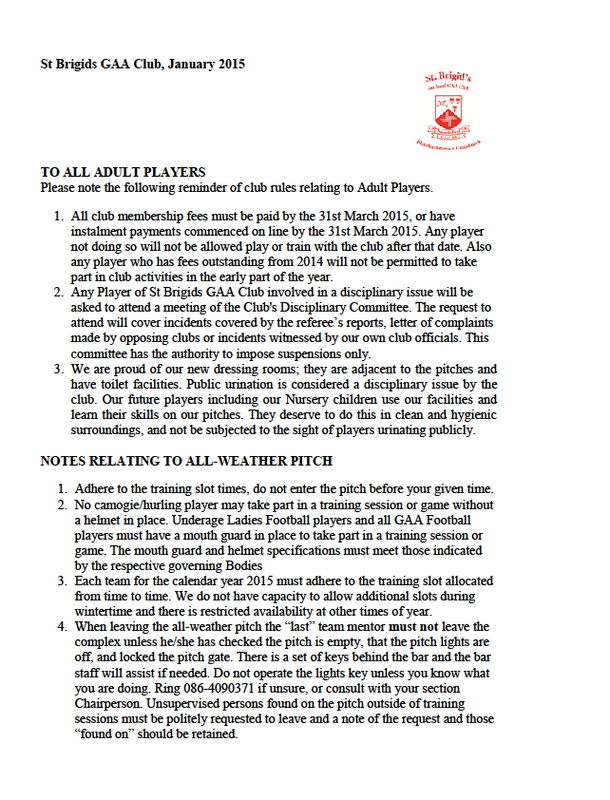 This policy will provide clarity and direction to the Coaches / Mentors, parents and players of St Brigid’s. A Féile Sub-Committee for Boys Féile and Ladies Féile will be established each year to facilitate the annual joint fundraising effort in support of the Boys and Girls Féile Teams registered to participate in the event. The role of the Féile parents will be to lead on the fundraising activities with the support of the Club fundraising committee representatives and the Chairs for each section. 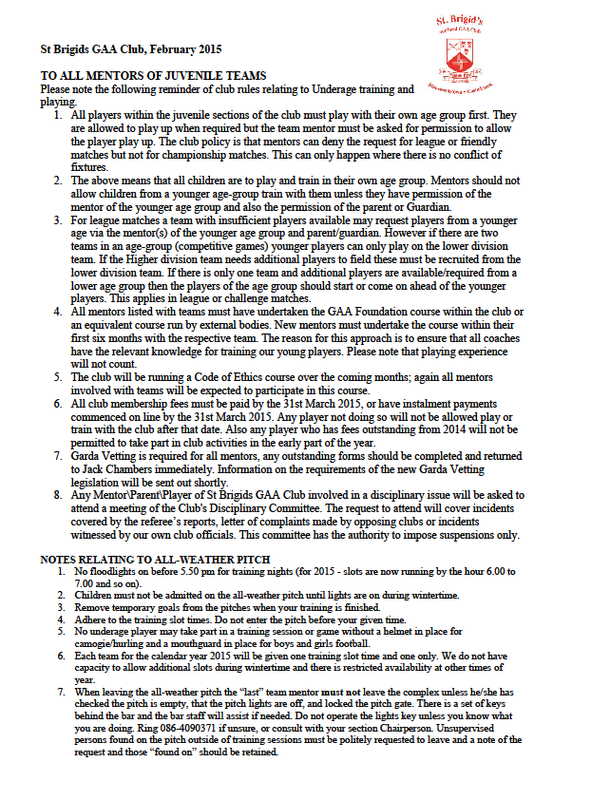 While not to be excluded it is recommended that the Coaches / Mentors of the Féile teams do not sit on this Sub-Committee. The Sub-committee will serve from January of the Féile year until all Féile competitions are concluded and final monies agreed with the Treasurer at which point the monies remaining can be discharged through the Club to be agreed with the Club Finance Committee and Executive. Fundraising for the Féile is permitted to commence from December in the year prior to Féile and will cease at the end of March – in Féile year. For players playing both codes (Hurling and Football for boys, Camogie and Ladies Football for girls) one set of gear only will be provided and not one for each code. Any queries or additional gear requirements are to be raised with the Féile sub-committee and agreed with the Club Executive before being provided. To ensure openness and transparency, funds raised at Féile fundraising events during the period (December prior to Féile year up to end of March of the Féile year) will be forwarded to the Chair / Secretary of the Fundraising Committee for return to the Club Treasurer, who will lodge all monies to a specific Féile Control account which will sit within the Clubs Main Accounts Ledger. The account will be reconciled, reviewed and agreed with the Committee Chair and Treasurer on a bi-monthly basis. Vouched expenses for Féile participation will be submitted through the relevant Code Chair to the Chair / Secretary of the Fundraising Committee who will apply to the Club Treasurer for payment or in the case of the expense being paid by the Féile committee member following approval, repayment of that expense. Each member of the Féile panel will be provided with a Club Hoodie & Training top only for Dublin Competition, and on progression to National Level, Club Tracksuit. The club will not make exceptions within any age-group year which will change the precedent set for future Féile competitions and players. If a parent / company indicate at any stage that they are interested in some type of Féile sponsorship, this should be brought to the attention of the Féile sub-committee who will decide how best it should be dealt with and take guidance from the Club Executive. Any sponsorship received in relation to Féile will form part of the entire amount raised regardless of where it is secured. For any funds remaining at the end of each Féile year – the account will be reconciled and any balance remaining will be transferred to the club main Income and Expenditure account. A timetable of Fund-Raising events is to be submitted to the Club Executive to ensure it does not cross over with other Club Fund Raising events. All non-fundraising matters relating to Féile are to be addressed to the relevant Juvenile section heads as necessary.